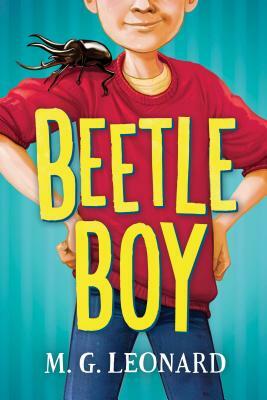 The glorious start to a middle grade trilogy about a brilliant boy, his loyal friends, and some amazingly intelligent beetles that's perfect for Roald Dahl fans! Darkus Cuttle's dad mysteriously goes missing from his job as Director of Science at the Natural History Museum. Vanished without a trace! From a locked room! So Darkus moves in with his eccentric Uncle Max and next door to Humphrey and Pickering, two lunatic cousins with an enormous beetle infestation. Darkus soon discovers that the beetles are anything but ordinary. They're an amazing, intelligent, super species and they're in danger of being exterminated. It's up to Darkus and his friends to save the beetles. But they're up against an even more terrifying villain -- mad scientist of fashion, haute couture villainess Lucretia Cutter. Lucretia has an alarming interest in insects and dastardly plans for the bugs. She won't let anyone or anything stop her, including Darkus's dad, who she has locked up in her dungeons! The beetles and kids join forces to rescue Mr. Cuttle and thwart Lucretia. M.G. Leonard is Senior Digital Media Producer at the National Theatre of Great Britain, where she creates podcasts and documentaries about making theater. Beetle Boy is her debut novel and the first book in The Beetle Trilogy. She lives in Brighton, England with her family. You can visit her online at www.mgleonard.com. Follow her on Twitter @MGLnrd.